Elko, NV – August 01, 2017 – Lithium Corporation (“LTUM” or the “Company”) announces that an analyst’s research report has been released by New York based consulting firm, RB Milestone Group, LLC (“RBMG”). The report provides an in depth overview of the Company’s lithium and graphite assets based in Nevada and British Colombia. It also provides an investment rationale, SWOT analysis, and an outlook on the current state of the lithium, graphite and energy storage industries. 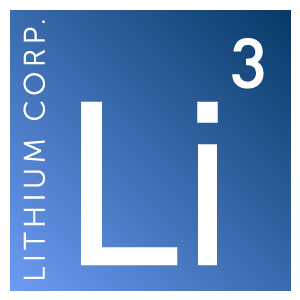 A copy of the research report can be accessed by visiting the homepage of Lithium Corporation’s corporate website (www.lithiumcorporation.com) or by contacting Trevor Brucato, Managing Director at RBMG. Lithium Corporation (OTCQB: LTUM) is an exploration and development company formed in 2009 focused on the discovery of minable deposits of energy metals in Nevada and British Columbia. LTUM is a project generator, and is positioning itself as the preeminent explorer, and potential future provider of specialty metals essential for the production of lithium ion batteries, and other hi-tech applications. The Company’s strategic partner Altura Mining, an Australian listed lithium company, currently holds approximately 13% of LTUM. For any inquiries please e-mail the Company (info@lithiumcorporation.com) or Trevor Brucato, Managing Director at RB Milestone Group (tbrucato@rbmilestone.com).